Dewers! 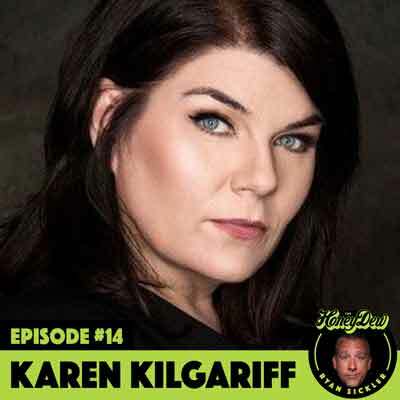 My #HoneyDew this week is one of my favorite people from one of my favorite podcasts, My Favorite Murder, “Keystone” Karen Kilgariff! Karen tells stories about walking to school a mile each way, without adult supervision, when she was SIX! She shares tactics she’d use as a kid to get her mom’s attention – like setting her grandma’s bed on fire. We cover alcoholism, Alzheimer’s, her cousin’s sweet ride & so much more! Subscribe, download & review!